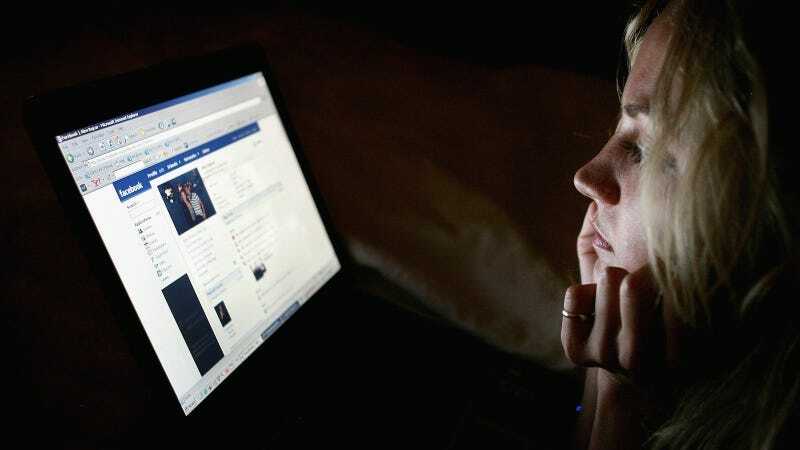 Facebook knows everything about you. What if they could diagnose your state of mind and suggest articles, or heck, medical treatment based on the facial expressions in your profile photos? Social networking sites are a part of everyday life for over a billion people worldwide. They show no sign of declining popularity, with social media use increasing at three times the rate of other internet use. Despite this proliferation, mental health care has yet to embrace this unprecedented resource. We argue that data from social networking sites should become a high priority for psychiatry research and mental health-care delivery. The Guardian reports that some of the suggested additions to Facebook’s data mining toolbox could include a language analysis algorithm that can identify symptoms of mental illness. You could flag early warning signs for depression or schizophrenia, assuming that it learned to weed out Evanescence lyrics and inside jokes. They could scan “emotional facial expressions.” Don’t look too sad in family photos or a Facebook mental health deputy will be knocking on your door. Or maybe not. The study doesn’t clarify what exactly Facebook would or could do with information and assumptions about your state of mind. They theorize that the site might eventually offer services to people who are isolated from traditional mental-health care, via Facehealth or something. Obviously, Facebook is not a social service, and while it uses data to target us for specific products and sales, its understanding of who we are is relatively shallow. It would also be morally repugnant to label a swath of users as “mentally ill” because of how they use social media. Wouldn’t narcissism be everyone’s diagnosis?